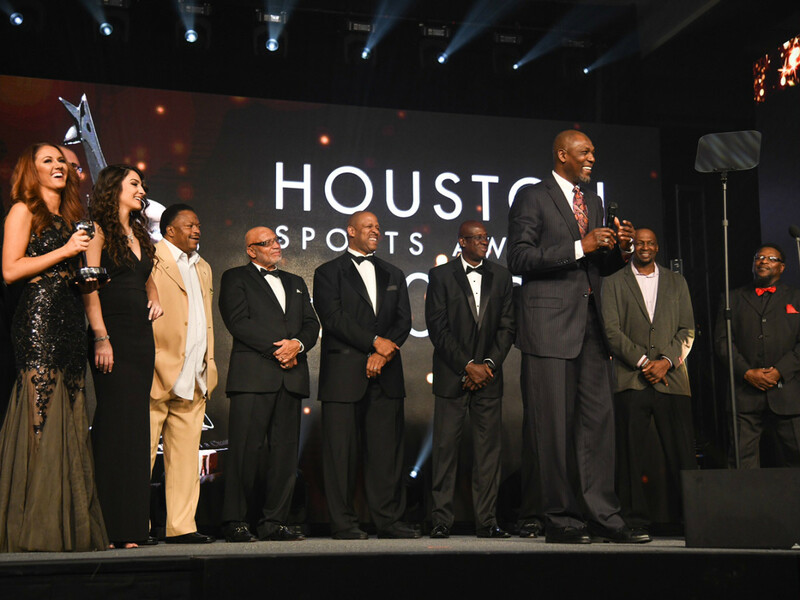 Last week’s Houston Sports Awards were a rousing success. Several of Houston’s best were honored, including the three “34s,” Hakeem Olajuwon, Earl Campbell, and Nolan Ryan. As an offshoot, the Houston Sports Hall of Fame was announced, with those three as the first inductees. The Hall is an excellent idea. It will be a cool addition to Houston’s downtown area and a great way to highlight Houston’s greatest. There will be no shortage of deserving athletes. As with any Hall, the question will be who is voting, what is the criteria and who will be eligible? Campbell and Olajuwon are no-brainers. Ryan’s selection is a little questionable, as he had his best years in California and Arlington and is in the baseball Hall of Fame as a Ranger. But he is a legend in the city and would no doubt be inducted at some point, and he played into the “34s” theme, so no real complaint there. But who else should be in there? You could induct more than 30 additional athletes/contributors right now. Astros Hall of Famers Craig Biggio and Jeff Bagwell are locks. So, too, is Warren Moon. The Rockets have no shortage of additional potential honorees such as Clyde Drexler, Yao Ming, Rudy Tomjanovich, and Calvin Murphy. Olympian Carl Lewis might be the most accomplished athlete this city has ever seen, and gets overlooked in any “best of” list. Mary Lou Retton, Laura Wilkinson, and Steven Lopez should make it as Olympians. If you consider Tara Lipinski as part of Houston, she is in. Simone Biles has already done enough. Andre Johnson will be the Texans representative. The Oilers could also offer up Robert Brazille, Dan Pastorini, Bruce Matthews, and Mike Munchak. You could also devote an entire wing to University of Houston quarterbacks. Andre Ware won a Heisman. David Klingler shattered many records, including Ware’s. Case Keenum’s UH career topped them both. Greg Ward, Jr. was the most successful of all of them. The Cougars also had several basketball players who belong besides Drexler and Olajuwon. Elvin Hayes and Don Chaney in particular should be in. As for coaches? Guy V. Lewis and Bill Yeoman. Wayne Graham at Rice. Bum Phillips. Dave Williams, the legendary UH golf coach. If you put in owners? Les Alexander was already honored with a lifetime achievement award and would also belong. So, too, would Bob McNair, simply for bringing the NFL back to Houston. Boxer George Foreman and race car driver A.J. Foyt are Houston legends and absolute locks as well. In 2004, the city saluted 38 legends as a tie-in to Super Bowl 38. You could certainly argue against many on that list, but there have also been several new faces since then. After all, that was 14 years ago. As John Granato wrote last week, Houston has more star power than anyone right now, so when the current crop becomes eligible, you already have several players who would be first ballot, starting with Jose Altuve, J.J. Watt, and James Harden. DeAndre Hopkins, Jadeveon Clowney, and Deshaun Watson are Texans who could someday make enough of an impact to qualify. The Astros are loaded with young talent and could easily dominate the Hall in a few years. Having already won a title, guys like Carlos Correa and George Springer are well on their way. For a city short on championships, Houston has no shortage of great athletes. The Hall of Fame better have a lot of room. Did we miss an MVP? Let us know who else makes the cut in the comments. Fred Faour is the editor of SportsMap, and hosts "The Blitz" weekdays at 4 pm on ESPN 97.5.